This April 21st we have the opportunity to participate in a Salt Lake Valley wide drill. The goal is to have Amateur radio operators check in from each and every elementary school in our city limits. This will be a challenging task as there are 29 schools, however I am confident we can do this. A few days before the drill we will email out assignments. At 10:00 AM we will start check-ins. Based on where people check in we may make additional assignments for operators to go and check in from another school. 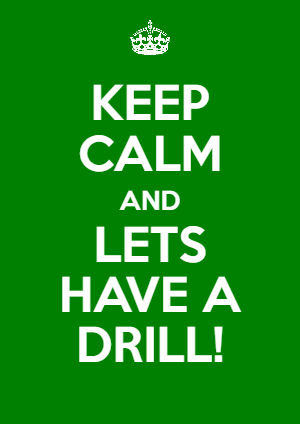 We need to complete this drill by 10:45 AM. Following the the drill the plan is to meet at City Hall where you will be able to tour the new communication trailer the city has put together. This is a simple drill, but it will show us and the city what we are capable of doing. So for now the assignment for each of you is to get on the Operator Portal and get select your school. If you have any additional questions let me know. 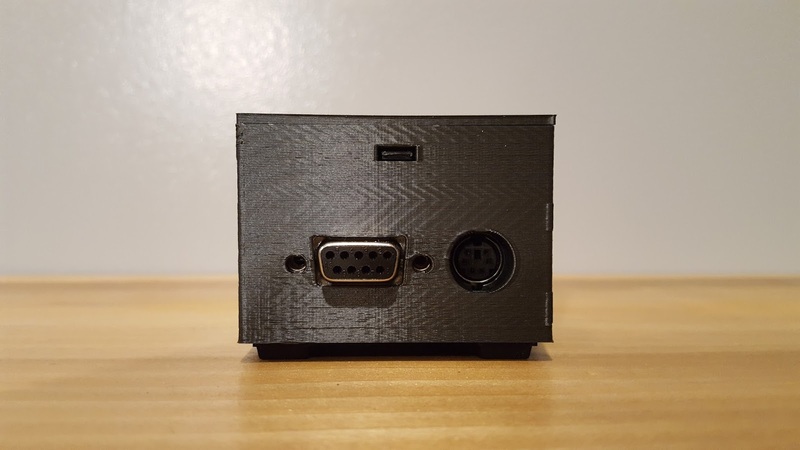 At long last we are ready to start making available kits for the TNC-Pi 9k! This TNC is a low cost 1200 / 9600 baud KISS based TNC. It is simple to build and is software upgradeable. The TNC was developed by John Wiseman G8BPQ and I believe Mark Griffith KDØQYN. 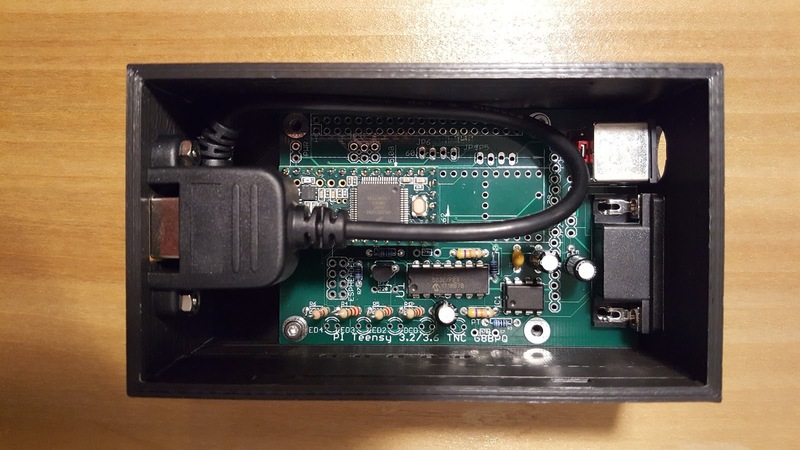 The TNC uses an Arduino Teensy 3.2 running Soundmodem by Thomas Sailer. 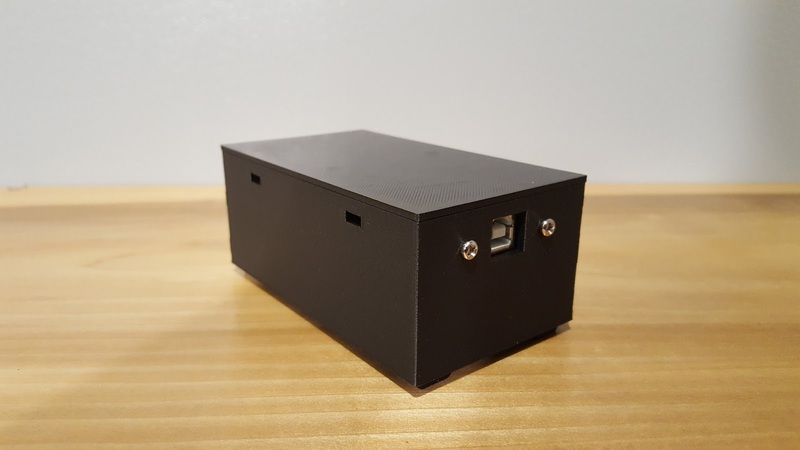 The TNC can be used standalone or be mounted to a Raspberry PI 3. 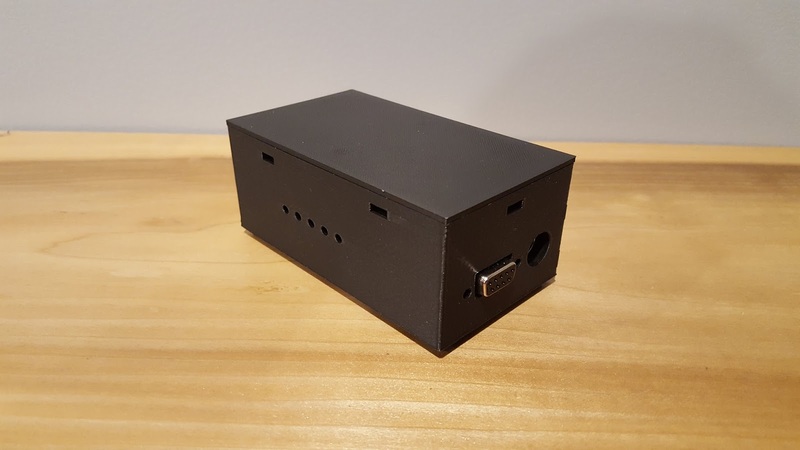 When ran standalone, the TNC is powered by the on board USB connection. The same connection is used for communicating between the TNC and your computer. There are two ways to connect your radio to the TNC. The first and preferable method is through a mini 6 Pin DIN connection found on many modern dual band radios. This connection supports both 1200 and 9600 baud communications. The second is through a standard DB9 connection which only supports 1200 baud. The TNC has been tested by various club members and has proven to be a reliable TNC at 1200 baud. 9600 baud has also been proven reliable, but depending on the radio will require a bit more attention. We are selling kits for those that are interested for $45 (case additional $8). For each TNC sold, $10 will be put towards supporting WVCARC. In the past Jason and I have fronted all club expenses and would understandably like to move away from doing so in the future. We feel that even with the additional $10 added to the cost of the TNC, it is still priced less than anything comparable on the market today. If you are interested in purchasing a TNC you can sign up here: https://goo.gl/forms/W99MWcltPVL6MmC12 The plan is to hold a build party at our next in person meet on April 14th. If you have any questions please send an email to mat.murdock@wvcarc.com. If you would like to learn a bit more about this TNC there is a video on it here: https://www.youtube.com/watch?v=AL6nWH6rXx4&t=5m15s. The following was presented on tonight's NET. It comes. John Jacobs (W7DBO) posted the following on his website http://w7dbo.net. Feel free to check his site out. A few years back I wanted to get a better understanding of various types of special event support and what role amateur radio played in those events. So in the course of a year I participated in 10 events. The following is some lessons I learned either myself, or observing other operators. Never leave your HT battery engaged in your go bag. Gremlins will climb it and turn on your radio. Guy your antenna mast FIRST, THEN mount the antenna. Not the reverse. If using a computer, turn it on before it gets cold and don’t let it go to sleep. Equipment gets brittle in the cold. Spare hardware is only .97 cents a bag at Home Depot but priceless in the wilderness when you drop one. If your radio is not programmed to event frequencies you are not prepared. There is no such thing as enough adaptors and connectors. You are not in college anymore, overnight shifts are not easy, know your limitations. Pace yourself it’s a marathon not a sprint. Speaking of Marathons…. Be prepared at a marathon event to hand out more cups of water than keying your mic. You are an aid station volunteer that happens to have a radio. If your children go with you on the event, your wife will count the day as a family time. Always bring a comfortable chair. Never leave your equipment in a open truck bed. It will rain. If you are busy and overwhelmed with your assignment, don’t worry sheer boredom is around the corner. The thought to stake down your easy up canopy should become BEFORE the big unexpected wind. Never send an 5w HT to do a 50w Mobile’s Job. Never underestimate the value of gloves you can write and operate a radio with. Your sole purpose of volunteering is not to get a T-Shirt. If you show up to an assignment right at start of shift you are late. While huddled around a space heater at 3am to keep warm and you smell plastic burning…. it’s your HT. Pack extra meals, you never know when your shift will be extended. If something doesn’t work, try something different. If that does not work try something else different. If that does not work try the first thing again and it will most likely work. Creativity and Problem Solving is a valuable skill. Registration for 2018 is open. Cost is $15 per person. Conference will be held at the Salt Lake Community College Conference Center. Located at 9750 South 300 West Sandy Utah. Out next in person meeting will be March 10th at 9:00 AM at Fire Station 74. We will be discussing our upcoming April 21st drill as well as helping people load the "Standard Load" into their memories. We also expect many of our new Hams to show up so we can get them started on this crazy hobby of ours. If you are interested in having your radio programmed please add the model of your radio to our list found here so we can try to find the appropriate programming cable and software ahead of time. If you have your own cable and software please bring it. If you have some programming cables also please bring them as someone else might have a similar radio that will work with your cable. If you have questions let us know! Tonight's net was on SOTA, Summits On The Air. To find out more go to http://www.sota.org.uk. SOTA is fully operational in nearly a hundred countries across the world. Each country has its own Association which defines the recognized SOTA summits within that Association. Each summit earns the activators and chasers a score which is related to the height of the summit. Certificates are available for various scores, leading to the prestigious "Mountain Goat" and "Shack Sloth" trophies. An Honour Roll for Activators and Chasers is maintained at the SOTA online database.